Wonder of wonders, Sony's PlayStation 3 may have finally inched into the black after years of splashing around in an ocean of red. The company claims it turned the road in the fourth quarter of its fiscal year which runs from April to March, posting a profit for the first time since the PlayStation 3 went on sale back in November 2006. Not so fast though, the company's Networked Products & Services Division, which includes the PlayStation as well as Sony's VAIO line of PCs, actually reported a 10.2 percent drop in annual sales and substantial operating losses for the fiscal year. Total red ink? $896 million. Blame that on the PSP and PS2, mostly. Sony certainly is: "Sales in the game business decreased mainly due to unfavorable foreign currency exchange rates, decreases in unit sales of PSP hardware and of PS2 software," said Sony. Sony reported PSP sales declined from 14.1 million to 9.9 units, a whopping 30 percent plummet (though only slightly below the company's target number), while PS2 sales declined less severely from 7.9 million to 7.3 million units. The company said PSP game sales fell from 50.3 million to 44.4 million units, while PS2 game sales plunged from 83.5 million to 35.7 million units. The latter drop probably reflects the lack of new PS2 titles, possible driving used game sales not tracked in new retail data (a "real" market snapshot would include used video game sales data, which given the PS2's sustained albeit much diminished hardware figures could weigh substantially in analyses that gauge factors like brand awareness or "real" market revenue). On the other hand, PlayStation 3 sales jumped from 10.1 to 13 million units with a commensurate software sales upswing from 103.7 million to 115.6 million units. Thank the slimline PS3 for saving the day (or the last two quarters) when it launched last September with a $100 cheaper price tag. 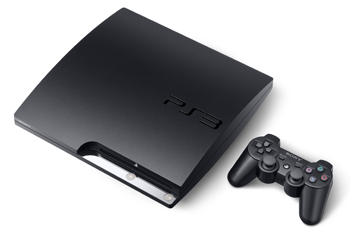 Sony expects the PS3 to keep growing through 2010, bolstered by its 'Move' motion-control add-on, launching later this year.